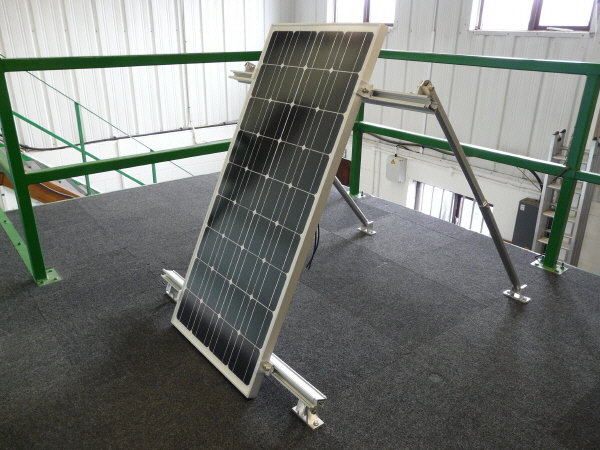 The fastFIX Adjustable Ground or Roof Mounting System is engineered to high standards and comes partly pre-assembled eliminating the need for time consuming onsite cutting and welding the unique design allows for quick and easy PV module installation. This fastFIX Mounting System has the added benefit of being fully adjustable from 30° to 60°, sited in an easily accessable location the tilt angle of the solar array can be adjusted if required for winter and summer, optimising power generation. The fastFIX Adjustable Ground or Roof Mounting System can be used for the installation of large PV arrays, for ease of ordering on line we offer a choice of three complete systems to facilitate one solar panel, two solar panels or three solar panels if you require a mounting system suitable for more than three panels please contact our Customer Support on 01508 488188 where we will be only too happy to help. The fastFIX Adjustable Ground or Roof Mounting System includes a choice of clamps for 35mm, 40mm, 46mm or 50mm PV module frames, please select the fixing to suit your installation below.